• Perfect for contracts and letters. • Easy to reposition and remove. • Use to clearly identify multiple signature areas. 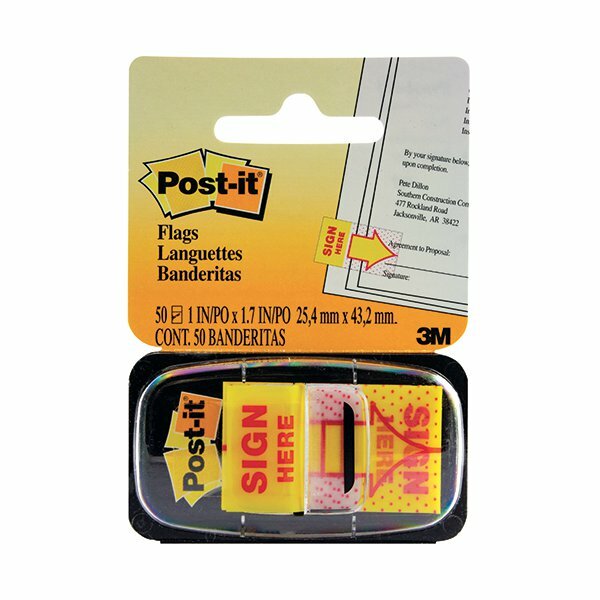 • Can be used to refill any Post-it® Index dispenser. • 50 indexes per pack. Post-it Index Sign Here arrows help direct attention to specific areas for attention on paperwork. 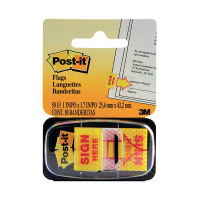 The removable Post-it adhesive lets you add and remove the index arrows without leaving residue behind. Use them on invoices, contracts, legal forms and other documents to show customers and clients exactly where to sign, with a clear arrow and Sign Here text. This pack contains 50 yellow index arrows measuring 25mm (1 inch) and comes with a handy pop up dispenser.